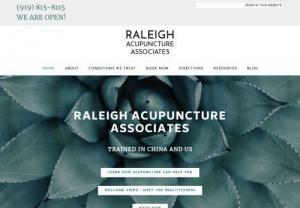 The Raleigh Acupuncture mission is to bringing you the best quality, safe and effective acupuncture and Chinese Medicine. Our staff are highly trained, with over 20 years of experience. They have treated thousands of cases ranging from day to day ailments to the most difficult and chronic conditions.